As one of the world’s largest providers of products and services to the energy industry, Halliburton maintains a fleet of 10,000 light duty vehicles. 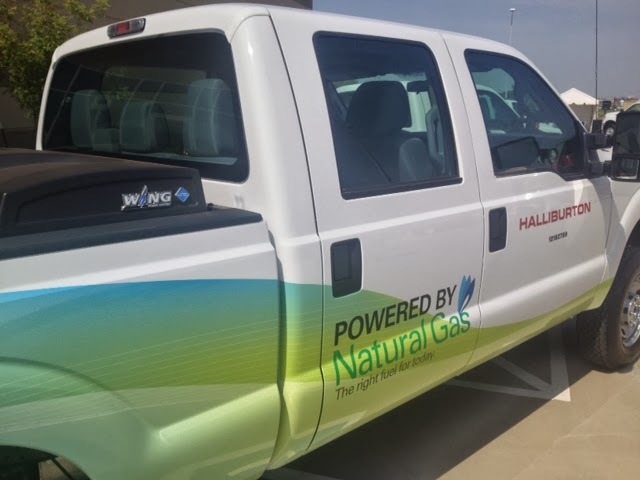 Last year the company made the decision to incorporate natural gas vehicles (NGVs) into its substantial fleet – selecting 92 bi-fuel Westport WiNG™ Power System pickup trucks for its NGV fleet of 94 vehicles. The trucks are being used to transport people, tools and equipment to customers’ sites. Larry says many of Halliburton’s customers are oil and gas producers, so providing them the opportunity to drive with vehicles which operate with compressed natural gas (CNG) lines up with their customers’ long term strategy. The majority of the NGV fleet went into service in April 2013. 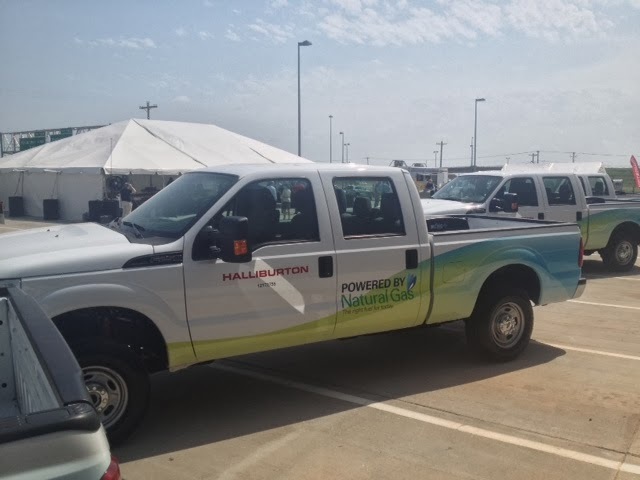 Halliburton is currently fuelling its fleet at public stations in 15 U.S. locations across seven states: Texas, Oklahoma, Colorado, California, Louisiana, Utah and Pennsylvania. “Our strategy is to place more CNG vehicles into our fleet as more and more public infrastructure becomes available,” he says. Larry adds that the company’s fleet is largely rural, not urban, and they’d be happy to see more retail stations added quickly.